1. 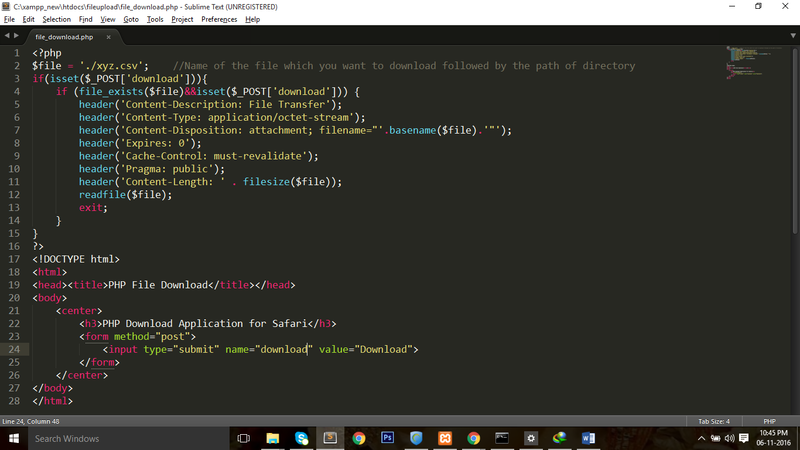 To start with create a folder “filedownload”. 2. 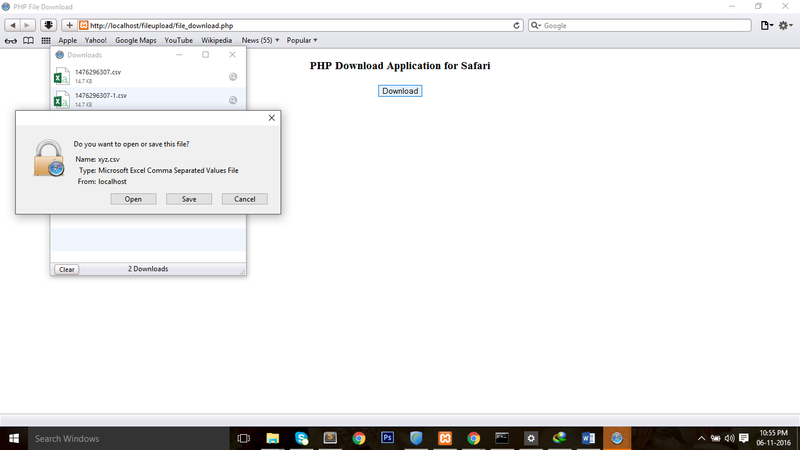 Create two new files inside the “filedownload” folder and call them file_download.php and xyz.csv. 4. The 2nd file “xyz.csv” is the file which is going to be download. May this blog will be useful to you.